Proposal. Gateway to Stanley Park, Vancouver. 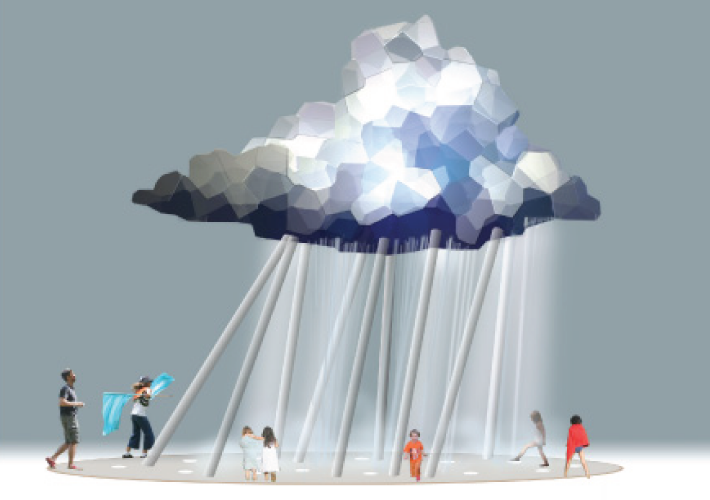 The Celebration of Rain is a dynamic interactive sculpture which illuminates bright soothing colours on dark grey wet days and also spills a fountain of refreshing water and mist on the warm summer days that Vancouverites cherish. Perhaps there is no other natural element as fundamental to the Vancouver experience and more shared by all, than that of RAIN.